Today, Turn 10, Crytek and Capcom provided details of the exclusive content and unlocks that will be included in the Day One Editions of Forza Motorsport 5, Ryse: Son of Rome and Dead Rising 3. 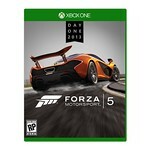 To commemorate the launch of Xbox One, Day One Editions are special game SKUS that include exclusive content and are available only through retail pre-order while supplies last, or via download on Xbox Live the first two weeks after launch. 2010 Audi TT RS Coupe: Stuffed stem to stern with modern tech, the TT RS is the first TT model to carry Audi’s famed RS badge – a distinction that’s earned on the track from the moment you step on the gas. 2013 Ford Focus ST: Debuting with the same 247-hp 2.0-liter turbocharged EcoBoost engine from the much larger Ford Explorer SUV, the new Ford Focus ST packs a serious punch. 2011 Lamborghini Gallardo LP570-4 Superleggera: Like great sculpture, the Superleggera’s chiseled form is carefully considered for maximum impact. That’s where the similarities end, however, because this work of art is best appreciated when it’s moving at top speed. 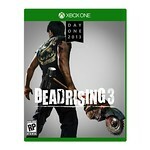 Dead Rising 3 Day One Edition: Dead Rising Tribute Pack featuring exclusive game content and bonus attribute perks. Official Chuck Greene outfit with Paddle Saw combo weapon that cuts through zombie hordes with increased damage and durability. Also includes attribute perks for vehicle and weapon durability. 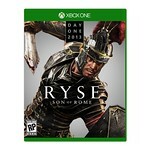 The Day One Edition of Ryse: Son of Rome will give players access to an exclusive Gladiator Mode Co-Op Multiplayer Map and an exclusive Sword add-on. Owners of the Day One Edition will be able to invite friends who own the Standard Edition to join them on the exclusive map. Legionnaire’s Trust Exclusive Sword: From the Brotherhood of Metalworkers high in the Swiss Alps comes this well-crafted, finely hammered blade that includes bonus in-game attributes. Ruins: Placing gladiators among the columns of an abandoned temple, Ruins will pit players against hordes of Barbarians, attacking from around every corner. The arena changes dynamically during gameplay, adding new obstacles and objectives for the player to encounter and overcome.